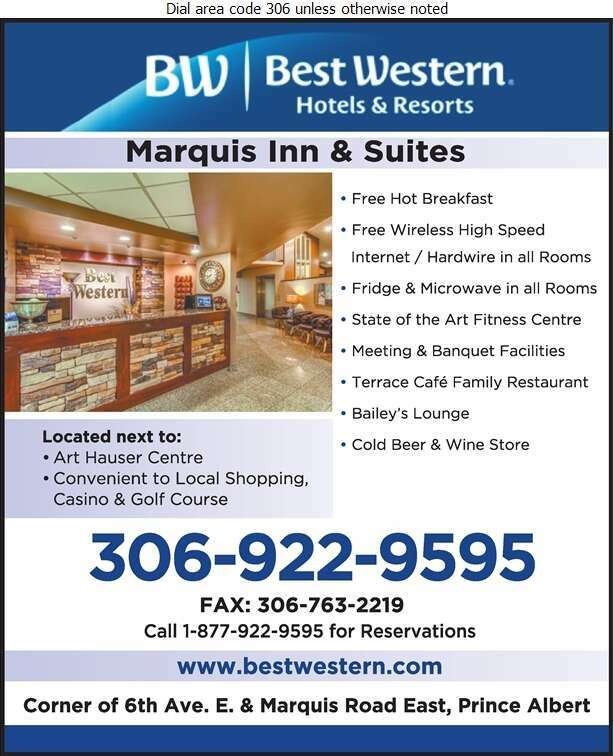 The Best Western Marquis Inn & Suites is nestled in Saskatchewan's "Gateway to the North". We recently renovated our entire hotel to make your stay with us comfortable, cozy & complete with accessible diversions & convenient amenities. Our rooms are 100% smoke free, clean, spacious & equipped with all the modern conveniences of home, & then some. We are located close to museums, a water park, a shopping centre, the Northern Lights Casino & if you're a fan of hockey, we're within walking distance to the Art Hauser Centre Hockey Arena, home to the P.A. Raiders! So start planning your Prince Albert getaway, we've got a lot to offer & stay with us at the Best Western Marquis Inn & Suites.